The Reserve Bank of India (RBI) has several roles. It is the banker’s bank and is responsible for maintaining public confidence in the banking system. It is also the government’s banker and is charged with managing the country’s money supply–printing new money, destroying old bills, etc. But its primary role is to be India’s central bank and preserve the value of its currency. Two things affect currency value: Inflation and exchange rates. Controlling inflation and maintaining the external value of the rupee are thus the primary functions of the RBI– this is referred to as monetary policy. e) the RBI would use clearly defined quantitative rules to determine the appropriate level of interest rates required to maintain inflation within this target range. Since the adoption of inflation targeting, wholesale inflation in India has dropped from about 5.2 % to below zero, and consumer inflation, measured by the CPI, has fallen from its high of about 11% to 5.6%. Moreover, these gains in inflation performance were achieved with no adverse effects on output and interest volatility. Also, and more importantly, inflation targeting brought accountability and transparency to India’s monetary policy greatly enhancing the country’s credibility in global capital markets. Mr. Rajan was the chief proponent of inflation targeting and pushed hard for its adoption starting with a Policy paper he wrote for the government in 2008. He believed very strongly that the principal policy role of a central bank was price stability. 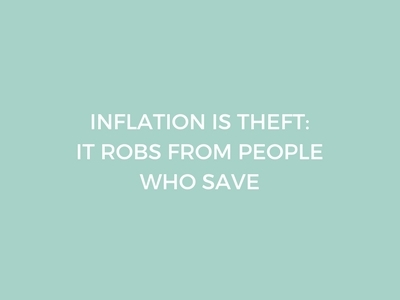 He argued that nothing destroys people’s savings more than inflation and that managing inflation and ensuring price stability would also contribute to the nation’s economic growth. It is also the best way, he argued, to serve the cause of inclusion because high inflation hurts poor people the most because they are the least hedged against it. Mr. Rajan took a lot of flak for strictly adhering to an inflation target and not lowering interest rates more aggressively to boost economic growth. Much of the criticism was clearly unwarranted (and political). Despite the relatively high interest rates, India was the best performing major economy with an average annual growth rate of 7.3%. Now, however, with Mr. Rajan gone, there is uncertainty as to whether the government will maintain inflation targeting as the stated monetary policy goal. Inflation targeting is practiced by several leading economies including UK, Canada, Australia, New Zealand, Sweden, Korea, Brazil, South Africa, Poland, etc. In this framework, a central bank makes public a projected, or “target,” inflation rate and then attempts to steer actual inflation toward that target, using tools such as interest rate changes. Because interest rates and inflation rates tend to move in opposite directions, a central bank will raise interest rates if expected inflation is higher than the targeted rate and lower interest rates when inflation is below benchmark. Inflation targeting, while popular, is not the only model for a central bank. From 1998 to 2015, the RBI used a multiple indicator model in which the role of monetary policy was to manage not only inflation but a whole host of economic indicators like money supply, credit, output, trade, capital flows, and exchange rates. Central banks in countries like the US and Japan have long used multiple targets like inflation, growth, and employment. But the empirical evidence has not been encouraging. Interest rates in Japan are near zero yet its economy is mired in recession. Interest rates in the US are near zero, and the Federal Reserve has pumped in over two trillion dollars of new money ( through a process called Quantitative easing, QE) to boost the economy. But instead of stimulating growth, this easy money policy has only succeeded in creating asset bubbles of the type that resulted in the 2008 economic disaster and more recently in financial assets like stocks and bonds. There now appears to be growing consensus among economists that there is more to boosting economic growth than just lowering interest rates and printing new money. Empirical evidence on the linkage between interest rates and growth is very tenuous and expecting reduced interest rates to boost economic growth is living in fool’s paradise. 1) The RBI must continue to remain an independent policy-making body. In other words, it cannot act as a piggy bank for the government printing new money whenever the government wants. As things stand currently, while the RBI does consult with the government, it acts independently in choosing appropriate monetary policy instruments, and the RBI Governor is generally insulated from political pressure. Hopefully, this won’t change with a new Governor. Furthermore, the government has set a clear target for its fiscal deficit and is expected to continue managing fiscal policy responsibly. If, however, fiscal imbalances get large, monetary policy could eventually become subservient to fiscal considerations. The government could start imposing on RBI’s independence and force it to print new money. If that happens inflation will rise, and inflation targeting would become untenable. Fiscal, monetary, and financial institutions in India must continue to get stronger. The success of Inflation targeting as a monetary policy tool depends critically on the existence and support of strong fiscal, monetary, and financial institutions. This was pointed out emphatically by Acemoglu and Robinson in their best-selling book “ Why Nations Fail .“ India has a healthy banking system, but bad loans are stressing the system. Almost 20% of existing loans have been classified as non-performing or bad. The RBI under Mr. Rajan initiated a process of cleaning up bank balance sheets by restructuring and writing off bad loans. It is imperative that the new Governor finish this process. India also has well-established and liquid equity markets, but a weak bond market. This is a cause for concern. In addition to taking stress off the banking system, a strong bond market allows market forces to assert themselves, thereby reducing systemic risk and the probability of a crisis. Another cause for concern is that foreign fund flows are still a sizable portion of financial market activity and future reversals in capital flows could have a major disruptive effect on exchange rates and price stability. SEBI’s misguided policy of keeping small domestic investors away from ‘risky’ financial markets has hurt the growth of these markets. Finally, India has built strong democratic institutions that will hopefully prevent an irresponsible fiscal policy from putting pressure on the RBI to print new money and to monetize debt. The government must continue to stay within its fiscal deficit targets and prevent budget exigencies from taking precedence over inflation control. There are also technical issues that need to be addressed to make inflation targeting more effective as a monetary tool. The Consumer Price Index, used to measure inflation, comprises food items and many economists have correctly argued that the prices of food items in India are affected more by supply side constraints ( like monsoons, MSRP, hoarding, lack of supply chain and storage infrastructure etc.) than by interest rates. Inflation targeting focuses more on demand-side measures and could hurt the economy if inflation is triggered by supply bottlenecks. In India, 48% of the CPI is food prices and another 9% is energy prices. So about 57% of the inflation measure has little to do with interest rates and monetary policy. Despite the service sector now comprising almost 60% of India’s GDP there is no price index for services. It is time to redo the CPI basket to more accurately reflect this concern. Another issue is India’s very young population. Research has shown that countries with younger populations have higher inflation levels on average than countries with older populations. Young people consume more and put greater upward pressure on prices. The current target inflation rate for the RBI is 4% ( plus a 2% band). Maybe the target rate could be increased to 5% ( plus a 2% band) to account for this demographic inflation. Demographic inflation also puts an inherently upward bias in interest rates. So base level ‘natural’ interest rates from where adjustments are made could be reduced to 6%. Monetary policy works with a lag so correct estimation of future inflation is vital for Inflation targeting to work as a policy tool. Sophisticated econometric models are used to estimate future inflation, but they require accurate and timely data on a host of economic series. Indian data has often been criticized for both its poor quantity and quality. Making policy decisions based on poor and unreliable data is problematic and an issue that the government must address very soon. This alone is a very compelling reason why the RBI should stay with a single target inflation-based model instead of adding additional target variables. Adding more variables simply adds to estimation error and unreliable data compounds this error. Even the Federal Reserve in the US with its army of trained economists, good reliable data, and good models faces estimation uncertainty. That is just the nature of econometric modeling..it is an uncertain science. In India expecting untrained bureaucrats, politicians, and technocrats to correctly model and interpret unreliable data is a recipe for disaster. A simple single indicator inflation targeting model minimizes both modeling and interpretation risk. Another critical issue is the transmission, that is, the speed and magnitude with which monetary policy changes get transmitted along the credit channel. In most developed economies, bond debt has long replaced bank financing as the preferred source for most corporate financing. Banks compete with the bond market to provide corporate debt, and this competition ensures that rate cuts are transmitted down the credit channel. In India, bank financing still accounts for more than 60% of corporate borrowing, and so while Mr. Rajan reduced interest rates by 150 basis points only about 60 basis points eventually got transmitted to the consumer. Banks were simply reluctant to pass the rate cuts on to the consumer largely because they face no competition from a healthy corporate bond market. India needs to build a strong bond market and do it very soon otherwise it faces serious financial impediments to growth. Having a monetary policy that makes inflation targeting its stated goal has been shown to not only decrease inflation but also increase growth especially in developing economies. With its chief protagonist, Mr. Rajan, now out of the RBI, there may be a temptation to change this policy and to move back towards a more populist-sounding multiple indicator approach. Since politicians always overestimate their capabilities, there is the added risk that the Finance Ministry might feel the need to be more involved in ‘managing’ the nation’s monetary policy. Both these would be huge mistakes. The RBI should keep the focus on price stability and stay with inflation targeting as its primary policy goal. As with any policy, there is not a one-size-fits-all, and the RBI should make adjustments to suit India’s realities. This could include increasing the target inflation rate from 4% to 5% to account for demographic inflation; more aggressive intervention in currency markets to reduce exchange rate volatility; reducing the natural interest rate to somewhere around 6%; adjusting the CPI basket by reducing the weight of food and increasing that of services; improving the reliability of the economic data series it uses; and developing creative ways to improve on policy transmission. The government on its part would be well advised to preserve the independence of the RBI, put pressure on the National Statistical Commission to improve the frequency and quality of financial data, and the SEBI to come up with strategies to develop a viable bond market.